"Highly recommended trip. This was our second Key West charter with Key West Florida Fishing. Our guide was very knowledgeable about Key West and experienced. Thanks , Desy B. This was an amazing day of fishing! 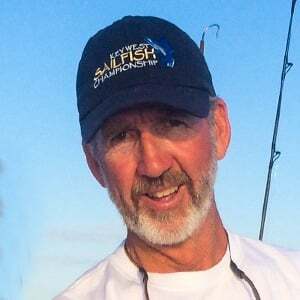 "Fishing with Captain Mike and Tony in Key West was the most awesome fishing trip of my life. I have fished many sport fishing charters and have never had action like this! They worked hard to get us on the fish and we were not disappointed. Captain Mike and Tony made sure this was an enjoyable fishing charter experience at the get go, they were amazing. Thanks, Desert Family"
I guarantee I will do my best to make sure you have a great sport fishing charter in Key West. If you're not satisfied with your charter and you think I didn't try, I'll give you your money back for your charter. I guarantee It! Comments or questions about our Key West fishing charters. Photos of recent fishing charters, big fish & smiles in Key West.